Country setting, close to the River, close to Grants Pass and has a very large shop/Garage. 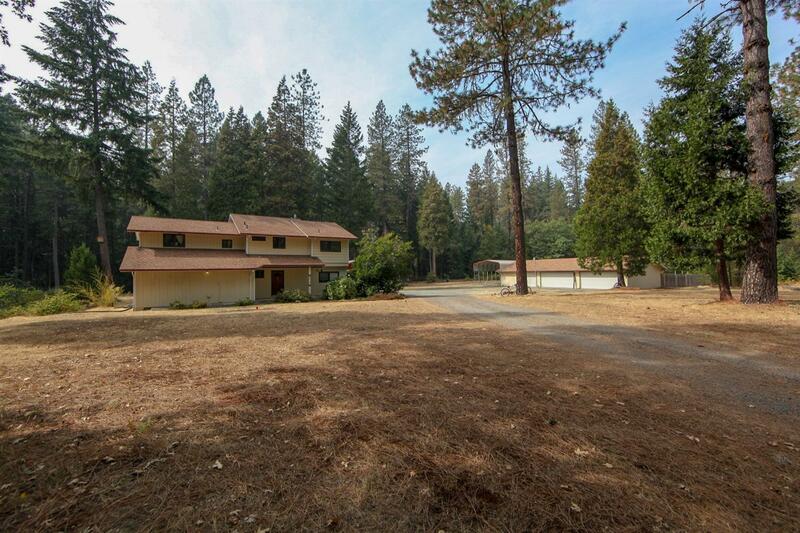 Yes, this home sits back on property with trees cleared and room for anything around you. Seasonal Creek in the back, Covered RV Parking, lots of storage and parking. Home has covered front porch, living and family room and porch off master bedroom with slider. Ready to move in? This one is ready and on level acreage and all trees have been trimmed. This one could be the family's next great spot for memories and fun. Make your appt to view today. All information deemed accurate but not guaranteed and subject to change at any time.